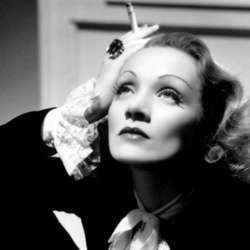 Who does not know Marlene Dietrich, perhaps the most famous German singer ever? From the interpretations of the most famous Berlin songs, from "Ich bin die fesche Lola" to Lili Marleen, sung for all the soldiers in Protected content , from that Blue Angel by director von Sternberg who consecrated her femme fatale, from the first pants worn by a woman in the history of cinema, from films like Marocco or Shangai Express, image of the first androgynous star who had overcome the barrier between the sexes, Marlene remains an icon, a myth, a suffering and unique woman who forever marked the female imaginary . Some of his most famous and adorable successes, also the result of many collaborations, from the Berlin Cabaret to Friedrich Hollaender to Burt Bacharach, will be interpreted by Ute Lemper, one of the most famous singers of the last thirty years in Germany and France. Ute Lemper is an extraordinary performer of the Brecht-Weill songs, as well as the music of Michael Nyman and the Berlin Cabaret: she met "the Diva" Marlene Dietrich shortly before his death. Ute spend a lot of time to talk with her about life and art. This evening will be the story of an encounter. Each one of you members has to book his own ticket for the concert of Februar, 4., separetely.